New User - Triggers when a new user subscribes to your community platform. New Frozen User - Triggers when a user is frozen by a community manager. New Signed-Off User - Triggers when a user has left the community (signed-off). Create Invite - Create an entry in the invite table of your platform and send out the invitation. Give Points - Gives points to a member. 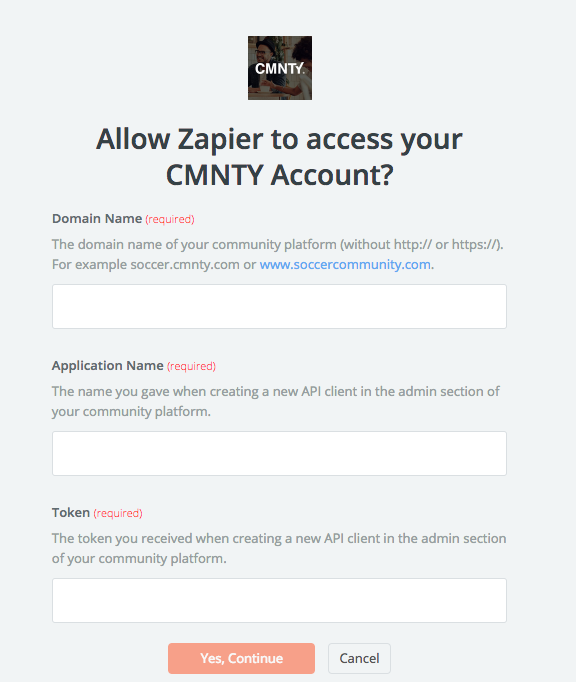 When you start creating a CMNTY Zap, you will be asked to connect your CMNTY account. When you click connect, you will then be asked to enter your CMNTY username and password. If those steps were correct, you'll get sent back to your Zap where you will now have your CMNTY account successfully connected! Only Community Manager and Platform Owner roles have admin access and can set-up API tokens to connect to Zapier. 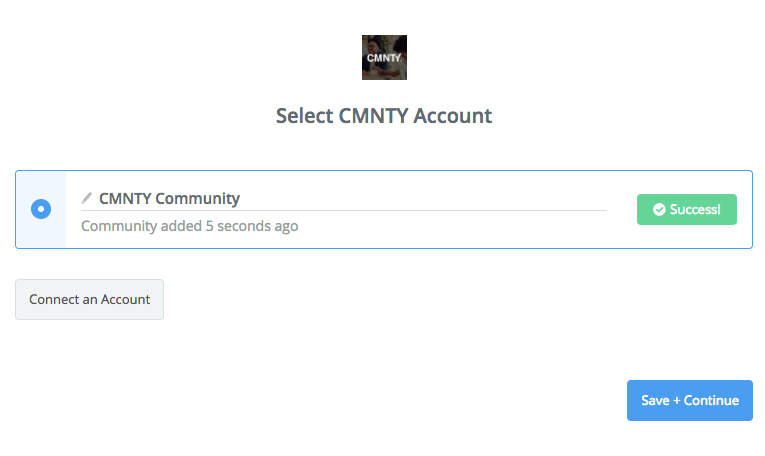 CMNTY is a tool to build an online collective around your idea, brand or company. Understand people’s motivations and plan your next move.